Editor's note: Watch Marketplace Middle East every week on CNN International. Click here for the show times. (CNN) -- Far from the sea, a man-made coral reef is taking shape -- and it could change medical operations forever. 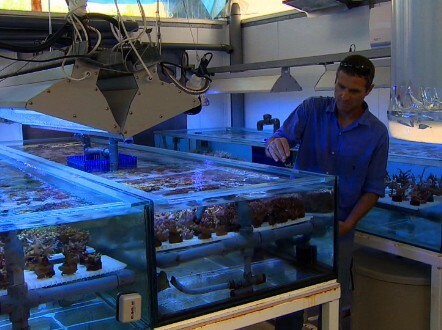 Assaf Shaham tends to his artificial coral reef. Read: Abu Dhabi super mall -- Build it and they will come?